After months of careful planning and preparation, the SPES Public Education and Outreach department was thrilled to launch its first Day Camp on July 6, 2015. Over the course of eight fun filled weeks, 83 children learned about the ecology of Stanley Park and connected with nature in a very special way. Week Six alone had 19 registrations out of a possible 20! 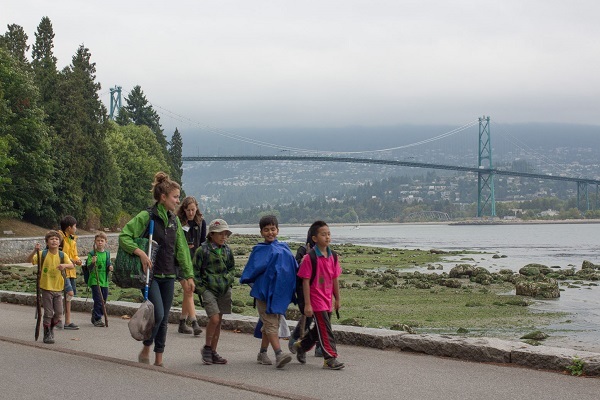 Campers enjoyed the beaches, wetlands and forests of Stanley Park and participated in many ecology-based programs. Our Invasive Species program saw campers remove 10.4 cubic metres of ivy from the Park this summer. 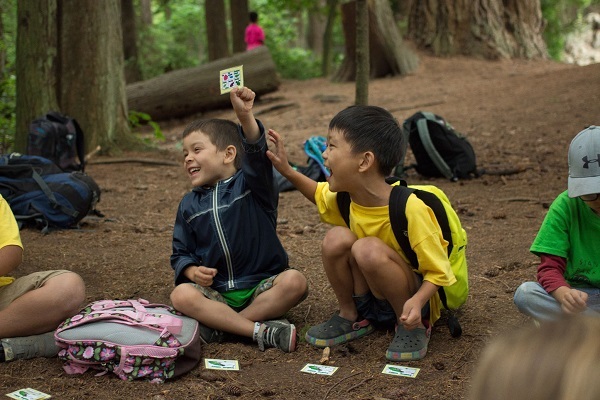 With the assistance of school teacher Danielle Neer, camp programming was developed on an inquiry based learning format through special Eco-Spirit Projects. 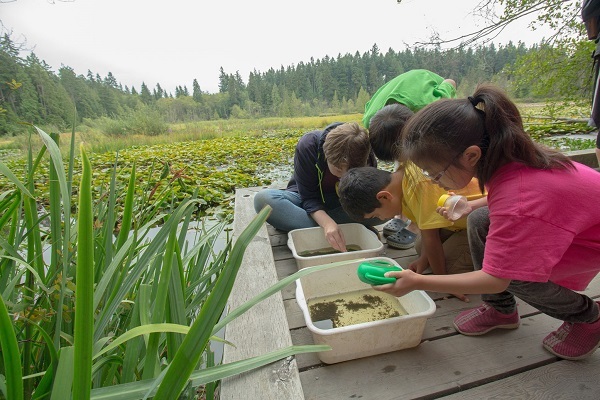 These projects allowed children to explore their own ecology-related questions through investigation, helping them to develop critical thinking and research skills at an early age. At the end of each week, each camper presented an Eco-Spirit Project; topics ranged from, “How can I be a good steward?” to “Why can’t I fly, but birds can?” and were very well received. Another unique activity that all campers participated in was hosted by the Urban Animal Agency. This program provided a unique learning opportunity about contemporary art practices, including the use of hidden video cameras (“Critter Cams”), that deal specifically with animals and ecology. Campers then contributed their own interpretations of the city as an environment that is shared by many species. Thanks to the efforts of our two Community Events Coordinators, Nicole Harrison and Terri Brownell; our two Camp Leaders, Samantha Woods and Ariane Comeau; and 11 volunteer Day Camp Assistants, SPES Day Camp was a huge success! We had multiple phone calls from parents saying their children had so much fun, the camp was very well organized, and the staff so professional, that they wanted to register their child for at least one more week of camp. We’re certain next year will be even better! We would like to send special thanks to Danielle Neer for her assistance with camp format, to Jessica Harrison for her assistance with special needs training, and to Richard King for coming out to photograph camp activities for us.